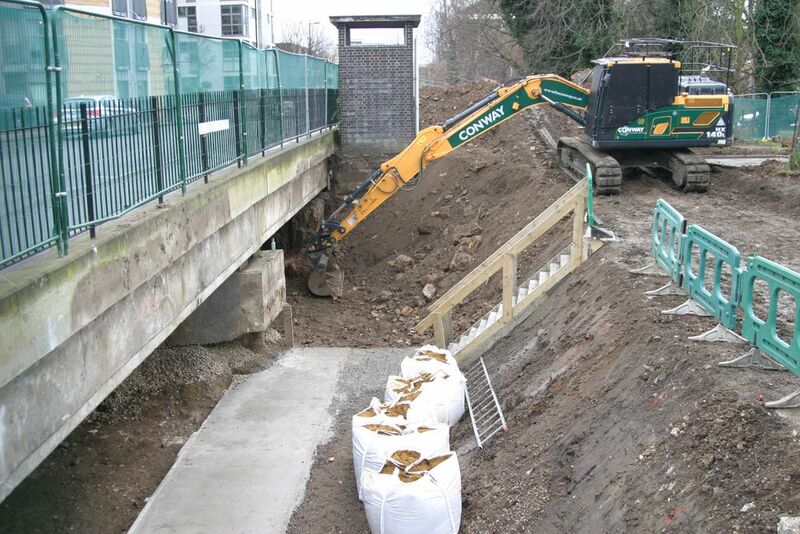 Yes – there is still a bridge taking Trafalgar Avenue over the route of the former Grand Surrey Canal! 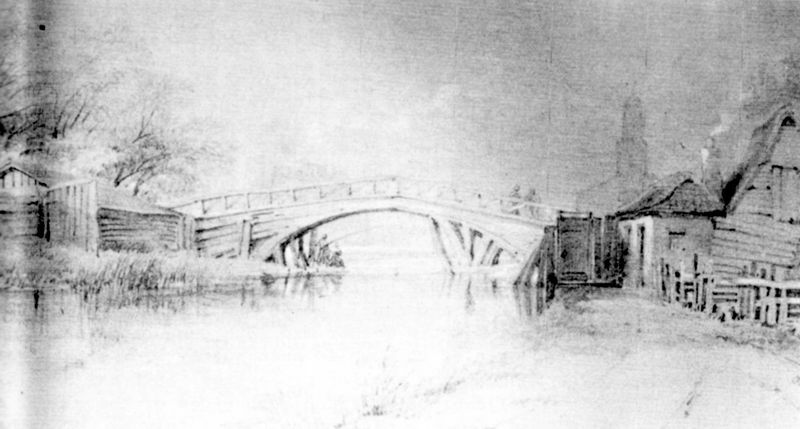 It was news to this author that the slight rise in the road where it crosses the park disguises a modern concrete replacement bridge, not merely a pile of demolished buildings. It’s not quite clear (maybe someone can explain) why an expensive bridge was built, although the canal had been filled in in 1970. Unfortunately, bridges need inspecting periodically, and when that time came around last year, it proved to be a bigger task than at first envisaged. 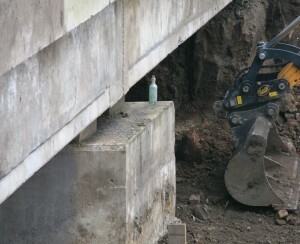 Typically for the development of the park, it was discovered that the void beneath the bridge had been used to dispose of all kinds of waste, including asbestos. Works have therefore taken quite some time, and the whole space beneath has been excavated in order to build permanent inspection chambers, so that in future, the job will be a bit easier. 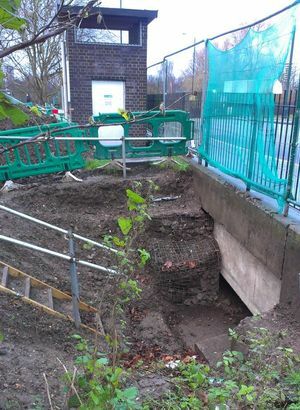 Under-bridge area cleared – visualise a canal now?! The brick tower next to the bridge above is a ventilation chamber for the 132kV London electricity ring-main, cables for which were laid under the park as it was being developed in the 60s or 70s. Of course, an imaginative administration might have thought about the posibility of restoring some water to the area, in some sort of memorial to the days of the canal. However, a brick-built inspection chamber is going in and the whole are will be backfilled and restored to grass. Did you spot the ubiquitous R Whites lemonade bottle in the image above? Somehow recovered intact, despite the heavy earth-movers, these can be found all over the park, wherever a hole is dug.